Can a Grandparent Get Custody of a Grandchild? It's sad but true. There are times when parental care is not in the best interest of children. At such times grandparents often feel that naturally, they are the ones who should step in. Sometimes the legal system agrees, but more often than not the road to gaining grandparent custody is a long and tortuous one. Although there are specific laws about grandparent visitation, a grandparent custody suit is simply considered a third party custody suit. In other words, the court is not obliged to give a grandparent's suit any special consideration. As a grandparent, you may not agree with how your grandchildren are being raised. Parents, however, have the right to rear their children as they see best as long as they are not being abused or neglected. Even if children are being reared in very poor living conditions, no one has a right to take the children away from their parents unless the situation fits the criteria of abuse or neglect. A number of states even specify in their statutes that financial inability to take care of a child does not constitute abuse. In a number of states, substance abuse by a parent can also be considered child abuse, but generally only when specific criteria are met. Parental drug use in and of itself is not considered to constitute child abuse; however, if a child is given drugs or is present where drugs are manufactured or stored, the definition of abuse may be met. In a number of states, a woman who uses drugs while pregnant can be considered guilty of abuse of the unborn child. A few states specify that substance abuse that impairs parental ability to care for a child constitutes abuse. The Child Welfare Information Gateway, a service of the U.S. Department of Health and Human Services, has specific information about child abuse statutes in each state. The most common way in which children end up in the care of their grandparents is by parents allowing it to happen. Sometimes it happens suddenly. Parents drop off children and simply don't return to pick them up. Sometimes it's a gradual process in which the children are left for longer and longer times until the grandparents find themselves doing all of the parenting. Sometimes parents, grandparents, and children live together, and parents shift their primary residence, leaving the children behind. Less often, parents ask grandparents to take over parenting duties while they get through some difficulty. In almost all such cases, there is an underlying assumption on the part of the parents that the situation is temporary. Grandparents who find themselves in one of the situations described above should be aware of the different types of grandparent custody. In most cases, they will need some type of legal authorization to take care of their grandchildren properly. At the minimum, the grandparents will need forms that allow them to make medical and educational decisions about their grandchildren. As time goes by, grandparents should re-evaluate the situation and decide whether they want to try for a more formal arrangement. When grandparents end up raising grandchildren, there are compelling reasons for seeking some form of custody. Another way in which grandparents may end up with grandchildren is when children are removed from a home by social services or law enforcement. In the United States, a federal law passed in 2008 requires that adult relatives of the children be contacted and given an opportunity to participate in care decisions made for the children. What this means is that grandparents may be given the chance to care for the children, either through or independently of the foster care system. In spite of the law, difficulties arise when relatives are hard to track down. That's a potent argument for staying in touch with adult children even in the most trying of circumstances. Ideally, grandparents should also be known to the neighbors and friends of their adult children. In addition, grandchildren who are old enough should be taught their grandparents' full names and contact information. If grandparents are to have the best chance of winning custody, they need to learn immediately when their grandchildren are removed from their home. 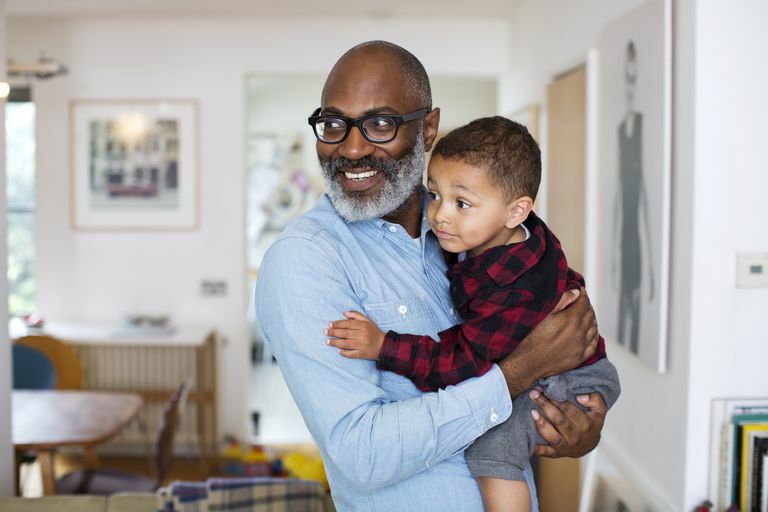 If the grandparents are successful in gaining temporary custody, they will need to consider whether they wish to try to become official foster parents for their grandchildren. Working through the foster care system can mean additional support, especially financial support, which is often badly needed. Sometimes grandparents must go through training or meet other requirements in order to qualify as foster parents. Sometimes social agencies will give grandparents special consideration in light of their special relationship with their grandchildren. Sometimes social services are not involved, but grandparents have reason to believe that their grandchildren should be removed from the custody of their parents. Grandparents who wish to get custody of grandchildren through the court system have major hurdles in their way. The first is the question of standing, which means the right to seek court action in the first place. Grandparents may have standing if they have been responsible for the care of grandchildren for an extended time, especially if the parents fail to remain involved with their children or to provide financial support for them. The other way in which grandparents may achieve standing is by proving abuse or the unfitness of the parent or parents. Remember that abuse must fit the legal definition and that proving parents unfit involves much more than disagreeing with the way grandchildren are being reared. If grandparents cross the first hurdle, they must then prove that grandparent custody is in the best interests of the child. This is difficult because the underlying assumption is that children are best served when being raised by parents, or at the least by maintaining relationships with parents. Grandparents who seem bitter or vindictive toward the parents of their grandchildren are unlikely to be granted custody because the courts will assume that they will be hostile to relationships between parents and children. The preferences of the children may be considered by the court if they are old enough to express a preference. If the grandparents are wealthier and able to give the grandchildren advantages, it might seem that the grandparents would have an edge in court. In actuality, giving special consideration to one party because of financial or social standing would violate the principle of equal treatment under the law. Another important principle for grandparents seeking custody to remember is that custody orders can be changed. Giving custody to grandparents does not terminate parental rights. Only adoption does that. If parents' circumstances change, they may be given custody. Grandparents may wonder why they should seek custody at all if the orders can be changed. There are two reasons. First, having proper legal standing will enable grandparents to make the best decisions for their grandchildren. Second, grandparents who have had some type of legal custody are in a stronger position if parents regain custody and decide to cut off the grandparents' access to their grandchildren, which happens far too often. Grandparents who are given custody of grandchildren voluntarily by parents may wish to formalize the arrangement. When grandchildren are removed from their homes, grandparents should be notified and given a chance to participate in care decisions. Grandparents who go to court to take grandchildren away from their parents face a daunting task because there is an assumption that children should be with their parents. The bar for proving a parent unfit is quite high. Even when grandparents win custody in court, they are vulnerable to losing it, unless they adopt their grandchildren.